There's a unique feeling of geeky accomplishment when you finally watch the entire run of a particular TV series. And this feeling is even greater when that show happens to be something as geekily iconic as Star Trek: Deep Space Nine. Yes, I am a major DS9 fan and have been for a lot of my Trekkie life. Among all the Star Trek franchises, DS9 had always nicely distinct from all the others (and this factors in the whole Babylon 5 controversy). And while one could argue that I remain most emotionally tied to Star Trek: Voyager, DS9 really had me engaged on a more cerebral level. And it has a lot to do with how the series became, well serial towards the end of its run. 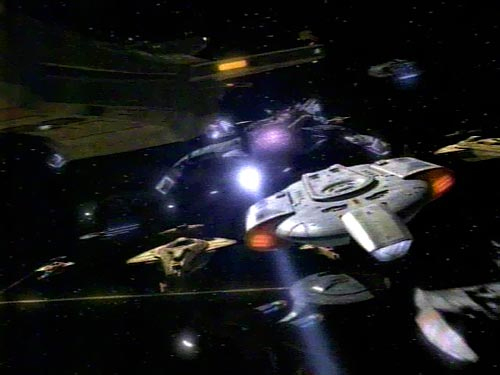 Instead of the prior adventure of the week type of stories that dominated the older shows and even the first few seasons of this one, DS9 ended up being a lot more cohesive from a narrative perspective. And we're not just talking about overall continuity and character growth but actually having one episode clearly link to the next without invoking it as a two-part story. And that certainly helped the series grow in a new way entirely. Synopsis: Star Trek: Deep Space Nine is a science fiction television series created by Rick Berman and Michael Piller. 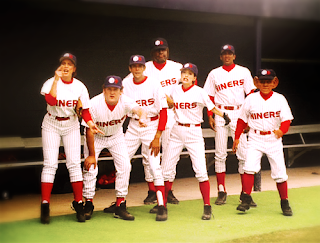 The show ended in 1999 with this seventh season. At the end of the sixth season, things were pretty bleak. Sisko (Avery Brooks) has left Deep Space Nine and has returned to Earth to work in his father's restaurant while he tries to figure out a way to reconnect with the Bajoran Prophets. The Bajoran wormhole remains closed to all and Major Kira Nerys (Nana Visitor) now commands the station. The alliance between the Federation, the Klingon Empire and the Romulan Star Empire remains in effect, although there is naturally a lot of tension between the various groups given their history. I'll admit that the beginning of this season felt rather weak - or maybe I have little tolerance for ultra-mystical Sisko. It takes him a good two episodes to figure out what to do next and when we finally see him prominently featured in a story, we get the strange episode Take Me Out to the Holosuite where we have the senior officers learning how to play baseball in order to beat the crew of a visiting Vulcan ship. Seriously. Now the season did have some seriously heavy narrative arcs that did a much better job of reminding us that we were, in fact, in the middle of way. The linked narrative between The Siege of AR-558 and It's Only a Paper Moon utilized Ensign Nog (Aron Eisenberg) as a vehicle for depicting the horrors of war. I won't go into too much detail, but it's sufficient to say that Nog eventually succumbs to Post Traumatic Stress Disorder and ultimately utilizes the holosuites as a way to cope. Not exactly the healthiest path to take, but it's completely understandable. This season also introduced Ezri (Nicole de Boer), the latest host of the Dax symbiont. Now we know the departure of Terry Farrell as Jadzia Dax wasn't exactly planned as part of the overall narrative, I'm not quite sure how smart a decision it was to replace her with this much younger and less experienced Trill. And yes, I'm sure it presented a potentially interesting narrative contrast to change things up a bit, I think it just ended up being more annoying than interesting for a lot of us. And to have her assigned to the station during a way? Oh Starfleet. oh Benjamin Sisko. And avoiding the Ocean's Eleven inspired episode Badda-Bing Badda-Bang, it's interesting to note how the tone of the show changed even further starting with the 17th episode Penumbra, which is when I felt that the show decided to turn into a full serial. The stories became a lot more linked and the episodes certainly depicted a steady progression of events leading to the series finale. Thus we had the much longer story arcs involving Sisko's potential marriage, Dukat (Marc Alaimo) disguised as a Bajoran in order to get Kai Winn (Louise Fletcher) to worship the Pah-Wraiths and the many changes in the Dominion's forces in the Alpha Quadrant with their alliance with the Breen and the formation of a Cardassian Resistance movement. In the end, the series caps everything off with the rather epic two-parter What You Leave Behind, which acts as a climax for the war and also a bit of an epilogue for all of the major characters. And that's certainly the "proper" way to go for as series that spanned seven seasons and involved so much story telling, both good and bad. And I'll always feel that DS9 certainly had one of the most cohesive endings, especially given the longer final narrative arc that began in episode 17 and lasted all the way in episode 26. 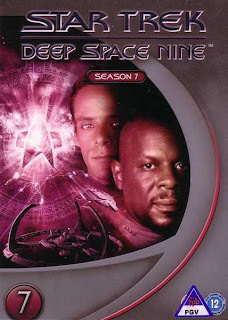 Star Trek: Deep Space Nine could have been a boring show which trapped the Star Trek franchise on a single space station. But the actual result was a lot more compelling and lead to some pretty interesting stories wrapped out some very well fleshed-out characters. Thus I rate this final season 4.5 annoying clones of Weyoun (Jeffrey Combs) finally dead out of a possible 5.